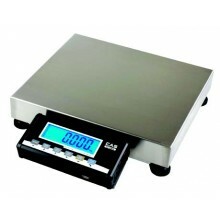 Checkweighing scales are used to quickly grade items based on weight. 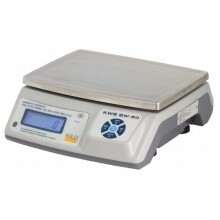 These scales may feature lights, buzzers, or other indicators that tell the operator if the item being weighed is too light, just right, or too heavy based on user defined weight limits. 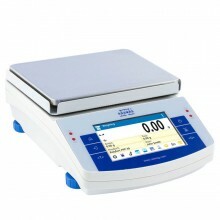 Some checkweighers can also send a signal to a remote device to stop or start a process when a determined weight is reached. 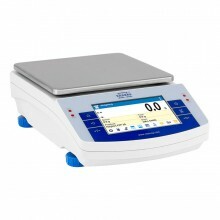 The WLC.X2 series represents a new advanced level for precision balances. The X2 series balances feature the latest generation capacitive display providing the maximum comfort of use, available right at your fingertips. Ease of operation, clear menu and practical arrangement of the display guarantee the best ergonomics for your everyday tasks. A wide array of available interfaces facilitate selection of the most optimal means for communication. The X2 series balances offer unlimited possibilities for cooperation with external devices, providing printing, copying, archiving and data transfer. Built-in IR sensors allow numerous operations (e.g. tarring, transmitting the result to a printer or selecting successive steps of a particular process, etc.) to be performed handsfree, by simply moving a hand across the sensor. The housing is made of plastic, and the pan is made of stainless steel. 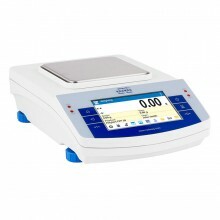 The PS.X2 series represents a new advanced level for precision balances. The X2 series balances feature the latest generation capacitive display providing the maximum comfort of use, available right at your fingertips. Ease of operation, clear menu and practical arrangement of the display guarantee the best ergonomics for your everyday tasks. A wide array of available interfaces facilitate selection of the most optimal means for communication. The X2 series balances offer unlimited possibilities for cooperation with external devices, providing printing, copying, archiving and data transfer. Built-in IR sensors allow numerous operations (e.g. tarring, transmitting the result to a printer or selecting successive steps of a particular process, etc.) to be performed handsfree, by simply moving a hand across the sensor. The housing is made of plastic, and the pan is made of stainless steel. 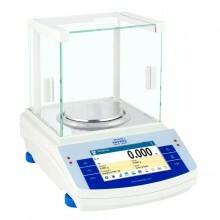 New PS.R2 balances, like previously designed PS series balances, have pans in two possible dimensions: 128x128 mm or 195x195 mm. balances with a smaller pan have a draft shield. The balance precision and the measurement accuracy is assured by automatic internal adjustment, which takes into consideration temperature changes and time flow.